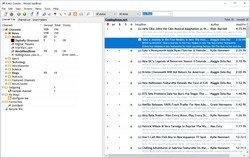 You can download a copy of NewzCrawler from LO4D.com at the download page. The program is only a shareware version, but it has been tested clean of viruses and malware. There will be no further updates to NewzCrawler.